It seems like it's been a little while since the last big developmental leap for D (at least that I've noticed) Bali I think, but over the last couple of weeks she's really leaped! By her first birthday she'd got to grips with walking, it wasn't much of a surprise as she'd been cruising for some time, but the speed at which partly walking/partly crawling changed to walking the whole time has been amazing, a week? Maybe two? She's like a proper little human! But yet she is still so small, barely above my knee, just 12 short months to get from totally dependant, to being able to walk across a room, climb a chair onto a table, help herself to her sibling's biscuits and give herself a self satisfied round of applause. It's absolutely amazing. Aside from the physical development there has also been a huge shift in how she interacts within our family unit. 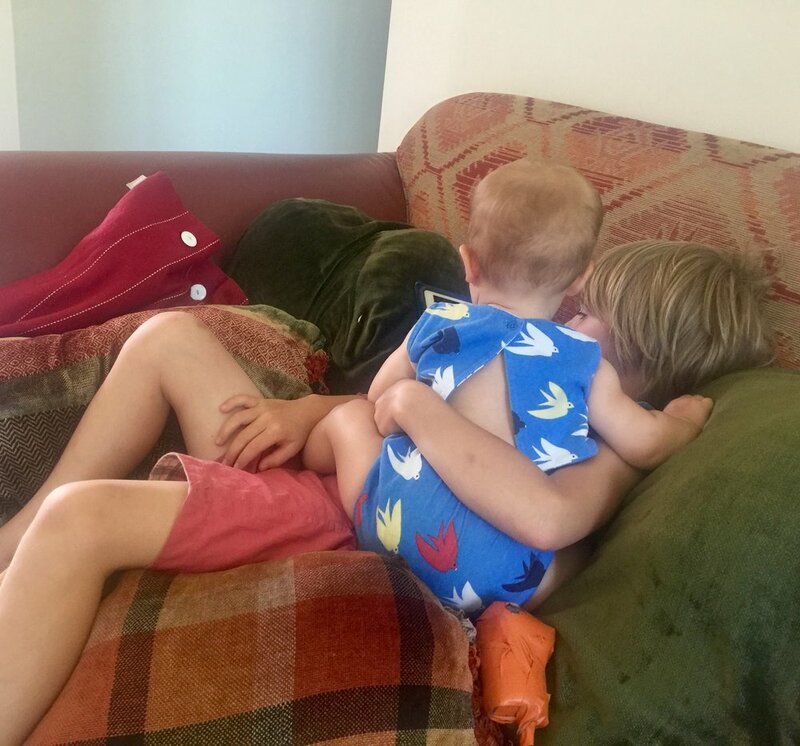 Previously she regarded Ali as her own property; if either F&G came in for a hug, she'd hurry over, demand to be picked up and push the offending sibling out of the way. Yesterday for the first time she actively encouraged G to share a hug with Ali, it was the cutest thing to see. Seeing our three interact with love and affection is one of the most amazing things. As proud as we are about her walking, it has brought some challenges; she's curious and into everything but is now really fast - we're having to be super aware. On the plus side she's finally sleeping fully through the night!!! 8pm - 6am last night!!!!!! Whoop whoop! We'd been sleeping much better already with just an 11pm night feed, but she's dropped that of her own accord. It's probably the perfect time to take her on a intercontinental flight so that jet lag can cement our gains! D'oh!